JENNIFER PHELAN is fulfilling her childhood dream of creating children’s books. Her two books, Hey, Boy and The Log Driver’s Waltz are published by Simon & Schuster. Her third book is on the way, with Penguin! Other childhood dreams include becoming Leonardo da Vinci, an archaeologist, and a dancer. Jennifer waltzes in Toronto, where she lives with her artist husband, Gleb. She's always tinkering, so for more commentary on her most recent work please find her on instagram! Sept 25 2018: Pub date for 'The Log Driver's Waltz.' Illustrated by Jennifer Phelan, words by Wade Hemsworth. Published by Simon & Schuster Canada.May 2017: Release of 'Hey Boy'. Debut children's book written by Benjamin Strouse, illustrated by Jennifer Phelan. Nov 2017: 'Hey, Boy' selected by the NY Times as one of the best picture books of 2017! From the article: This emotionally resonant, retro-style debut about a boy and the dog who moves in and out of his life is “sure to be a book worth revisiting,” our reviewer, Tom Lichtenheld, said. 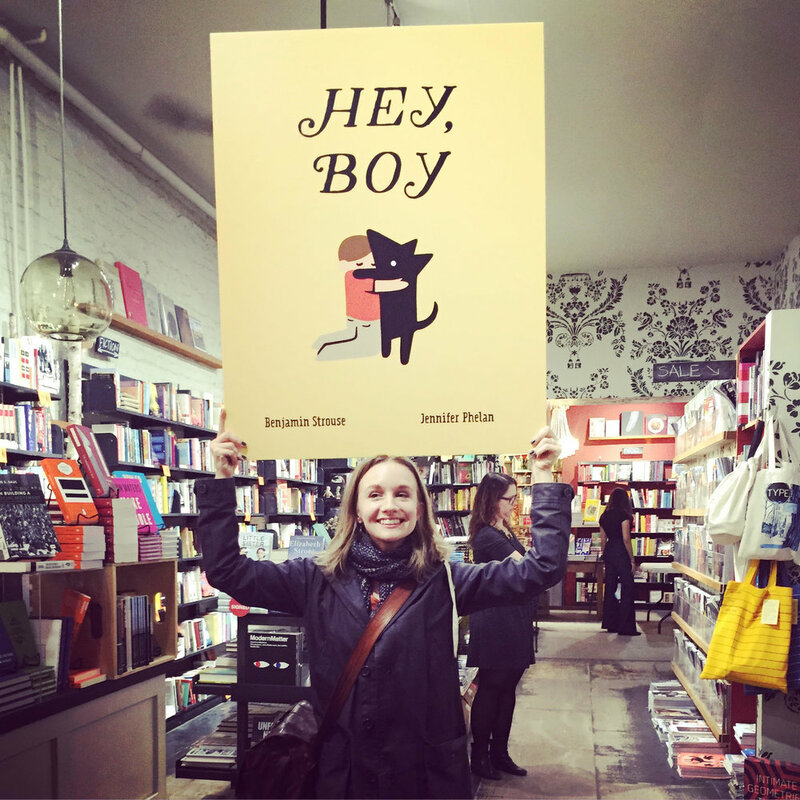 June 2017: 'Hey, Boy' reviewed by the NY Times Book Review as part of a theme around loss in children's lit. "All of the stories dip a pinkie toe into the emotional pool of loss without being morose or preachy. It’s not easy territory, but we have skillful book creators to help our younger kids explore it with imagination, humor and hope."